I don't know what made me decide to download this book, but I'm glad I did. 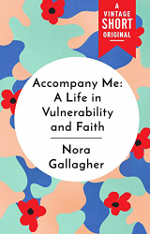 It is an insightful exploration of illness, faith, and what it means to really be well. The tone is gentle and humble and one of honest reflection. It does not read like a lecture, but like a conversation with a really thoughtful friend. I am not a religious person, and I probably never will be, but the discussion of faith in this book really spoke to me, and gave me more understanding of the role faith can play in people's lives. What will really stay with me, though, is the concept of aiming for true wellness in our lives, even if that cannot include being fully healthy. The concept of wellness being distinct from physical health.